If you are first time here, big WELCOME!! :), it good to see you here. 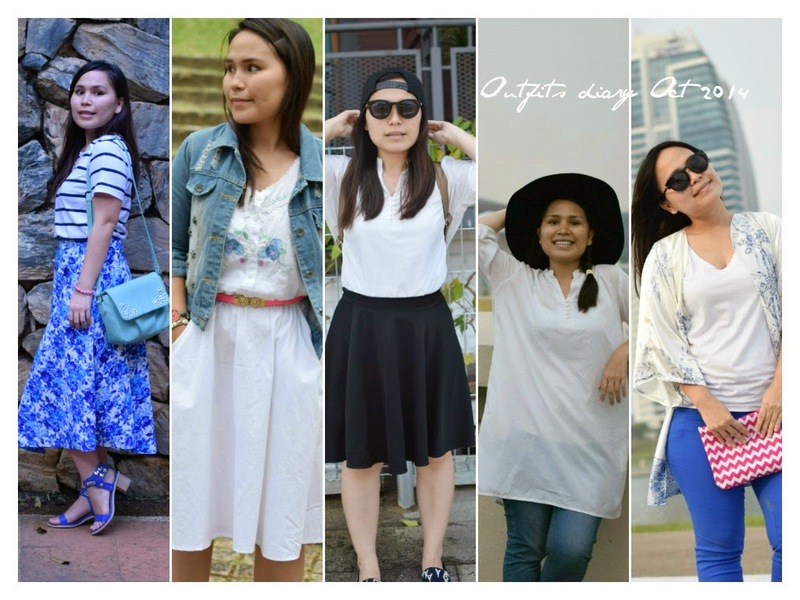 I been seen a lot of my favorite blogger do their outfit throwback 2014, so I feel like I wanna do it too ( even though my outfits is not really fancy and stylish as them but still I wanna do it). 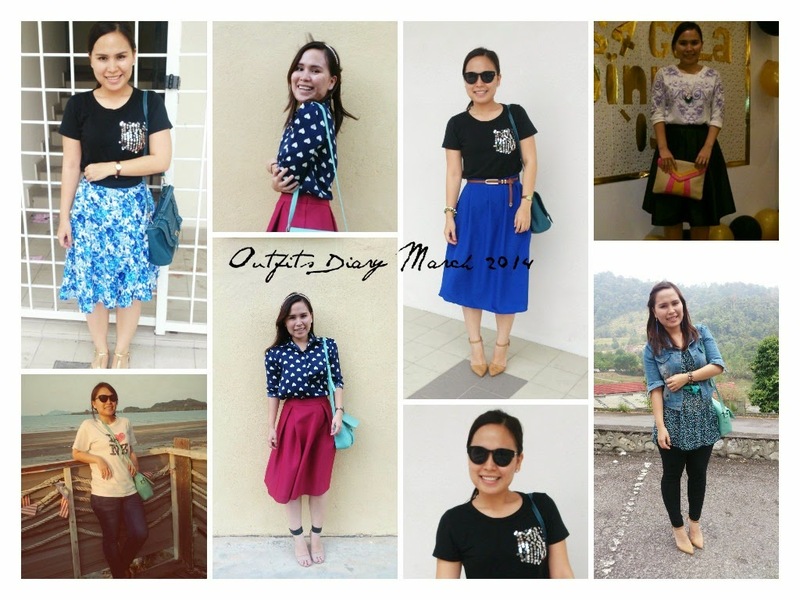 Without further due, let see the outfits diary. Lets started with the first month of 2014. 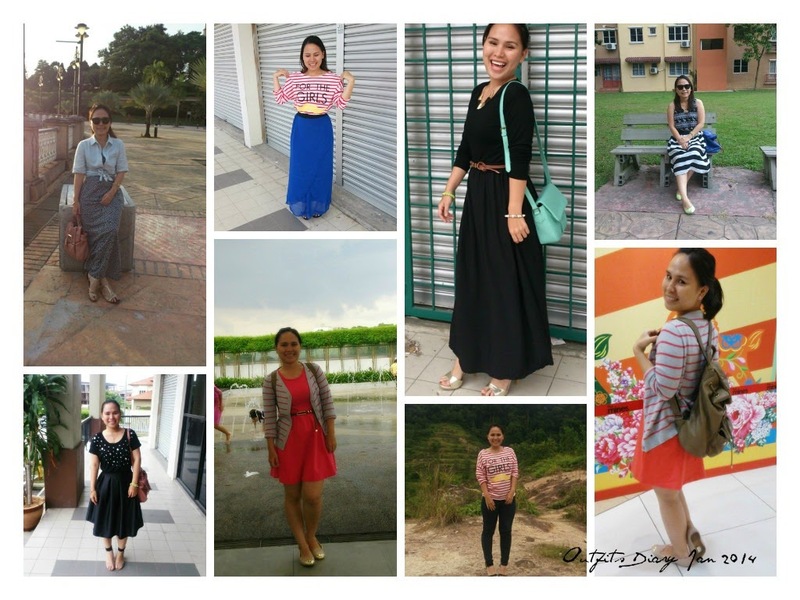 Okay, I must said " I love skirt entire year, especially midi skirt!" This month is always the refreshing month for everyone include myself.Time for hitting refresh icon/button and be refresh from all the past year challenges. 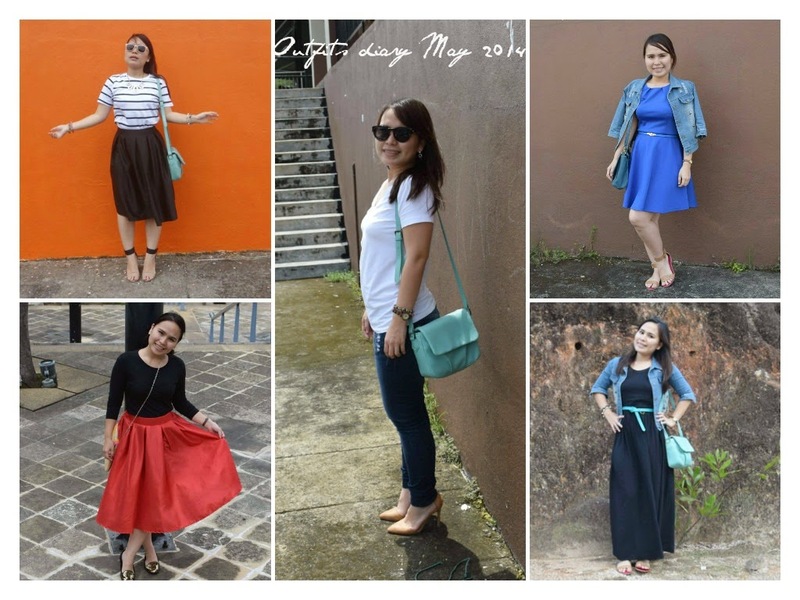 For February, once again all about maxi and midi skirts. 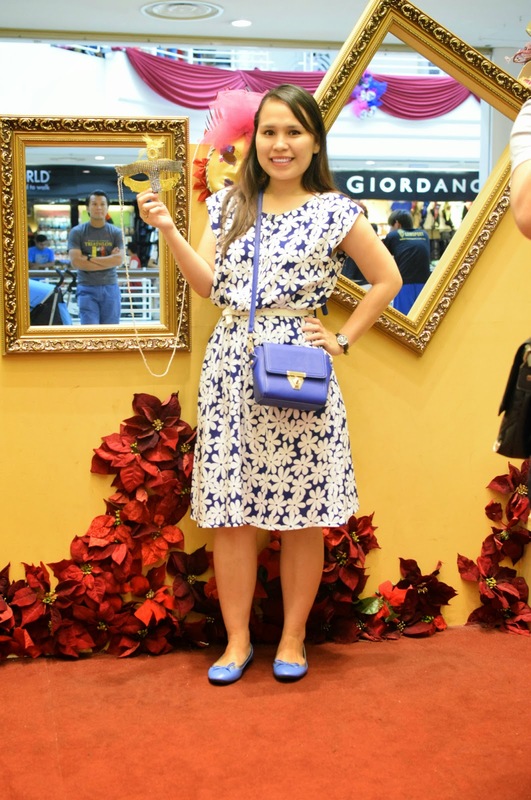 In fashion trends, full midi is big trends in 2014!! So, its good news for me. 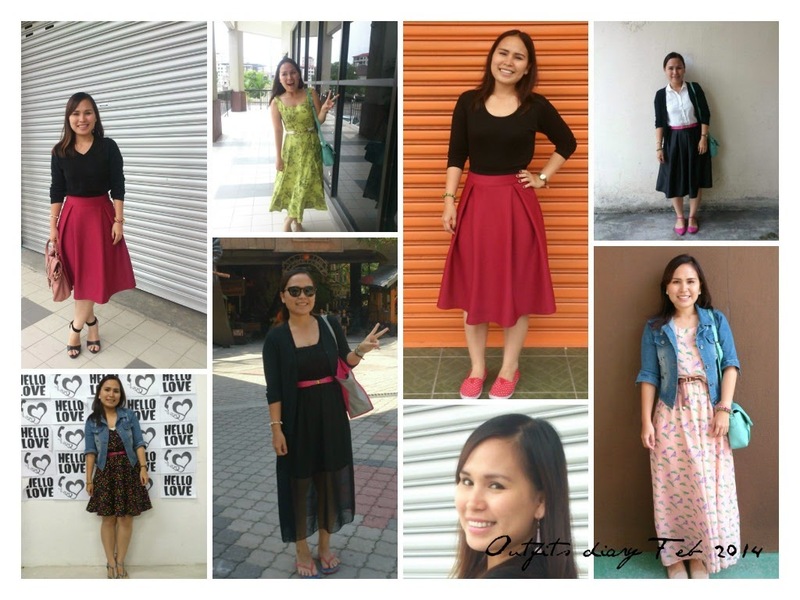 But, this early 2014 I can't find any midi skirts at stores at Malaysia yet or do I missed any stores?, but lucky I bought two pieces for myself when I travelling oversea on previous year(2013). 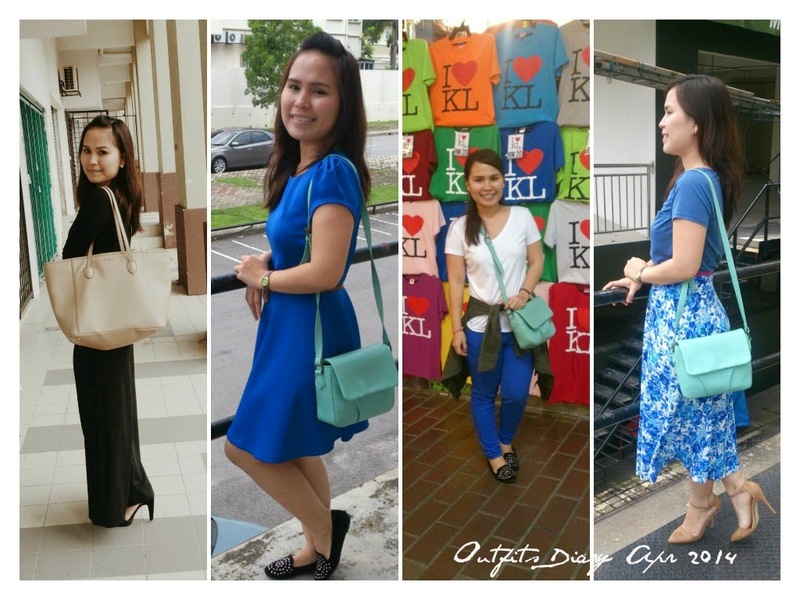 For my outfits shoot, I do not take outfits shoot everyday but every Sunday, so that why it just few of it. If not, then definitely thousand of it. 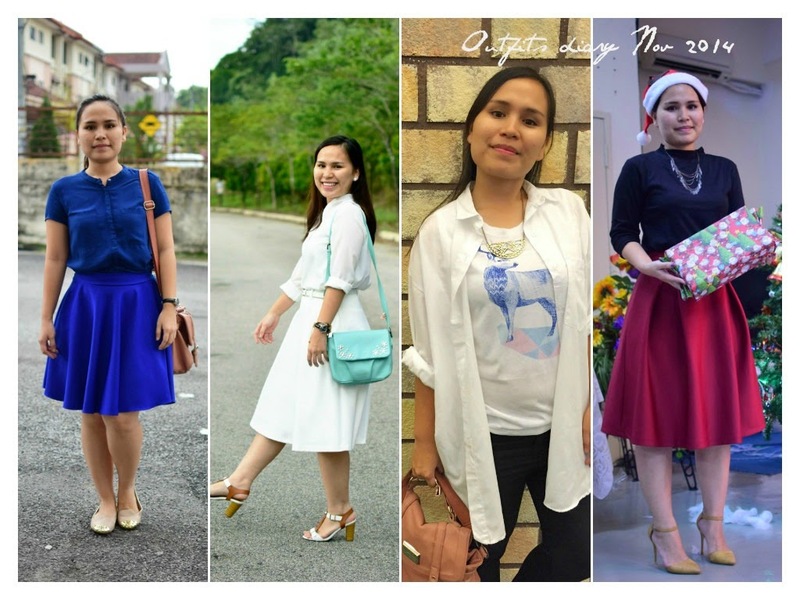 I still in love with midi skirt so I make it few on my own.Beside, still no midi skirt in the affordable stores yet but I think its already available at branded stores but I won't buy it because it too much for me. So, I decided to make it. Can you noticed which one I make myself? Okay, I know its so hard to guess. Its the blue midi and flowery midi skirts. April 2014, I think I slow down a bit here because the camera issue. My point and shoot camera is broken, and my phone camera is very lagging, so it killed the mood to do outfits shoot. This time, I already surveying good camera for myself. Finally, I bought my first DSLR with kit lenses, meaning standard lenses. But,the outcome is not really good. I have such a hard time for me to use it also because it my learning stage. Still I am skirt girl. After review this now, I realized I wore skirt on Sunday more than pants.wow! Sometime, I like one pieces, that easy to wore. 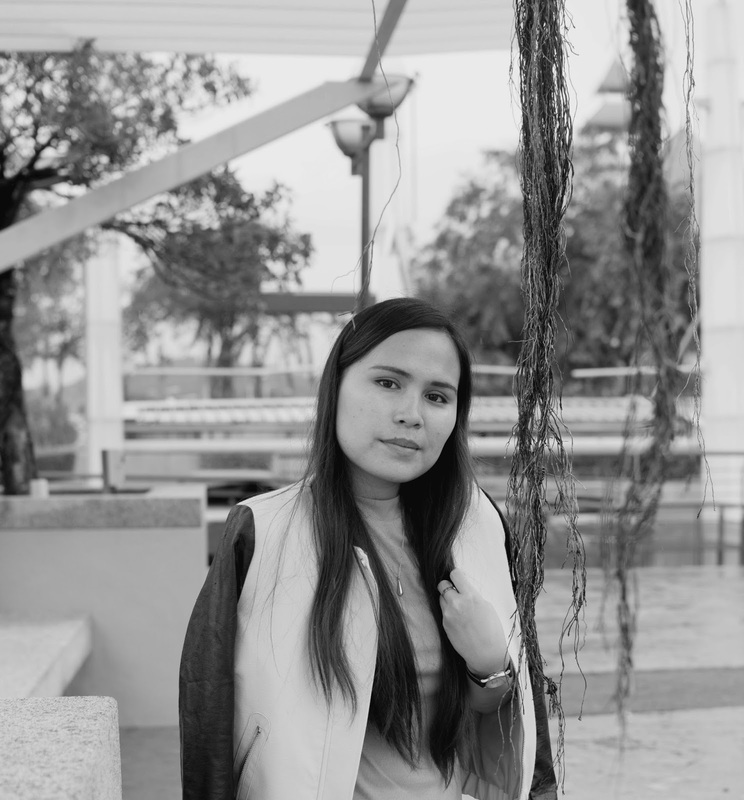 I admit that my photography skill is so slow improving because I am not the one that holding the camera when I do my outfits shoot but I do appreciate my friends help for this. Sometime, I wished I had friends that so passionate about photographer just like me so we can do a lot of learning and practice it at the same time. I am sure the result will be awesome! This is very dark time for me and my family. The heartbroken news really broke my heart and I crying every night in my prayer and asking God "why? why? ", I am so helpless and out of focus this month. I don't have feel to do the outfits shoot with all the things happened to us. It really hard to accept the reality when the dreams is better. So, there no outfits shoot for August 2014. Thanks for my friends that always listen to my story of hard life. Whether your dreams is small or big, keep doing it until you see the good result. So, I take courage again and do the outfits shoot once again. Oh God! When October is saying Hi! I definitely feel so "nervous" because time was running so fast and I feel like I didn't achieved any big things this year but its already October. Still I pursue this little dreams of mine. I even went for my outfits shoot on my own. Bring my tripod and remote!ahahahaa.. I feel so funny now but its okay, that called effort right? My birthday month is here and I never slow down with my ridiculous dreams. Just do it! This month is the busiest for me. Both on work and personal side. For personal side, I already started to surveying and buying Christmas gift in early of December because there so many Christmas gifts to buy with limited budget. 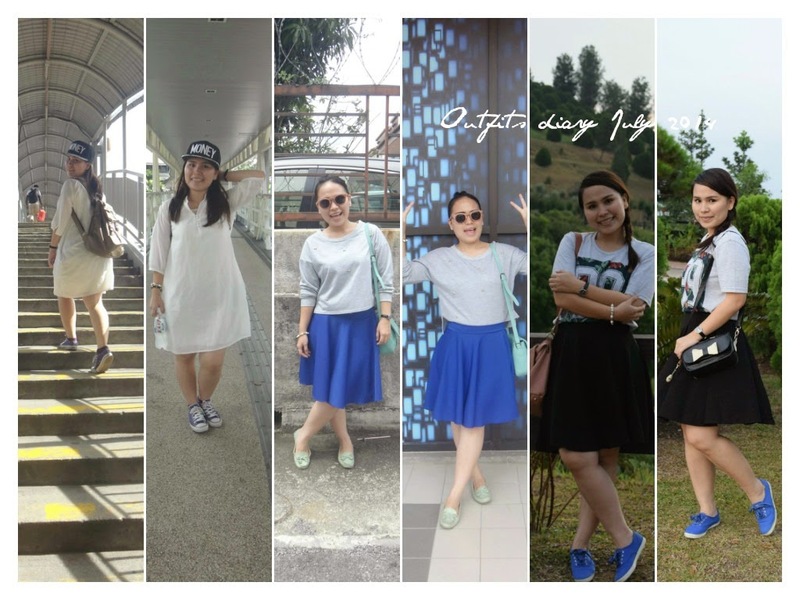 Before I went back to my hometown, here is my last outfits diary for last year. I do not take any outfits shoot at my hometown because I kind of rushing whenever I went everywhere and I just like bare my face, no BB creams or anything, just my skin, awesome but it not good on the photos. 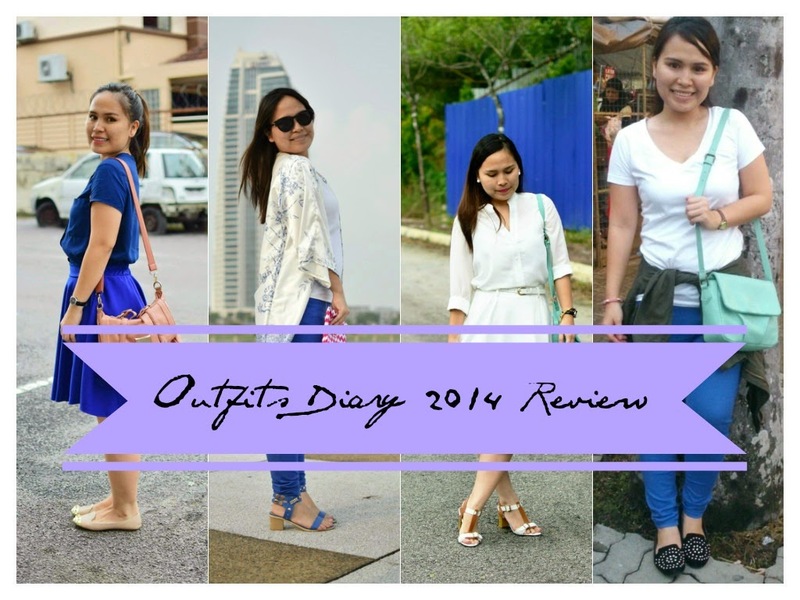 That's all for my outfits diary 2014 review. What do you think? I know I know, there so many skirts right? Honestly speaking, I wore skirt more than pants last year because I feel so uncomfortable wearing pants. Why? My thigh is getting bigger and bigger...hahhaha. 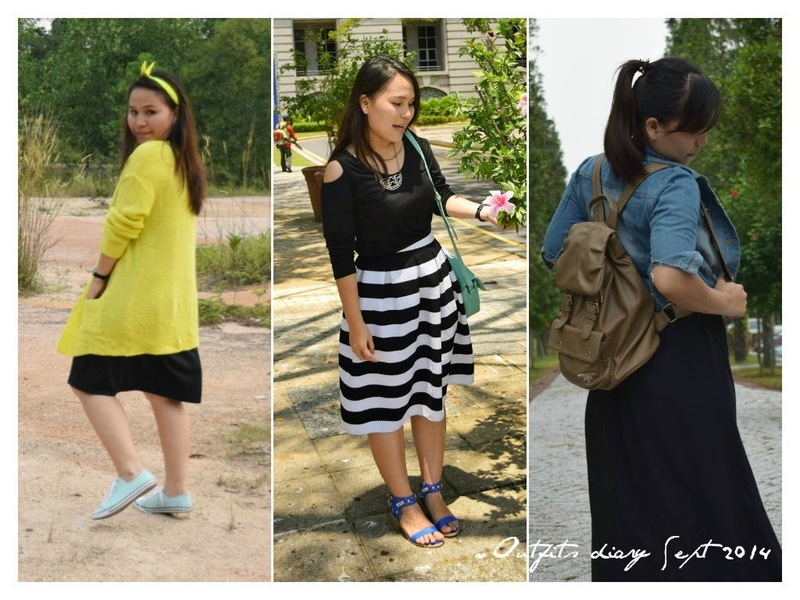 To hide my weakness,I wore skirt a lot. If possible. I won't wear pants but sometime, there situation I can't wear skirts. 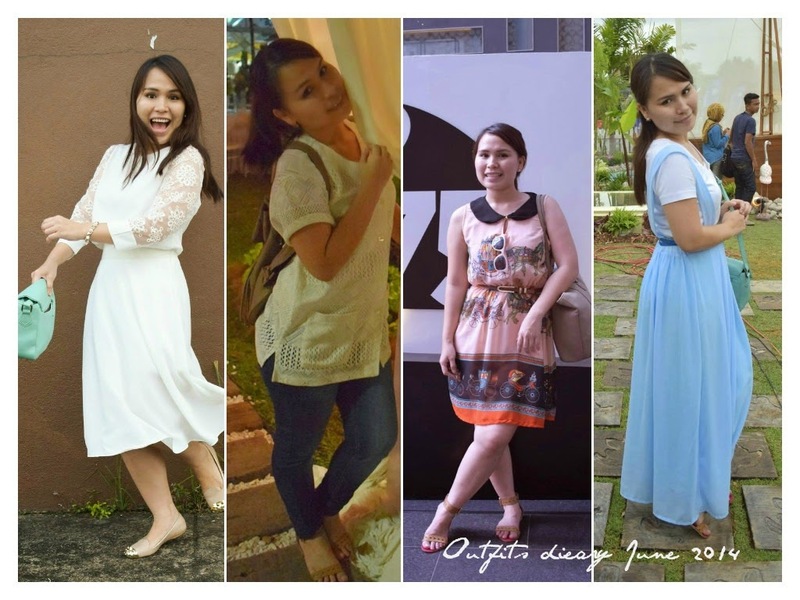 Hope to see you again on my Outfits diary 2015 journey and I will work hard on this outfits diary things this year. Hope I will show you the variety of style this year.